Terrible! Soaked in sweat and make you look like you are in a wet t-shirt competition as material is fine. Looks cheap. Threw it in the bin. Response from Charles Tyrwhitt: I am sorry to hear that your recent purchase was not suited to you. We have received very positive feedback overall for our Natural Cool range, however I do understand that this may not be the best fit for every customer. We do offer a six months returns and exchanges guarantee for all items, regardless of wear, so you are of course always welcome to find a better item for your wardrobe. 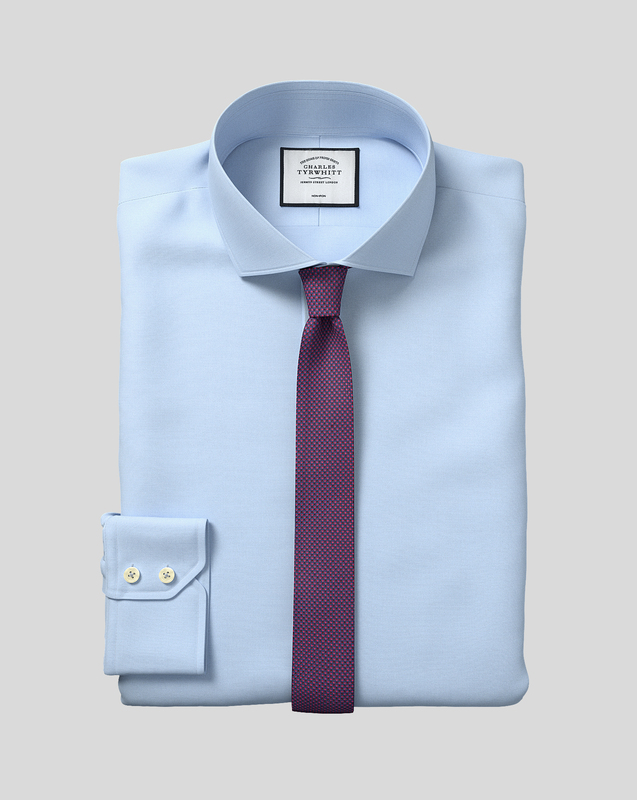 Great quality shirts although Extra Slim fit is 'Extra' slim fit. I'm slightly over a EU52 and the shirts were much too tight. This has no reflection on the product at all, just an overly ambitious customer.